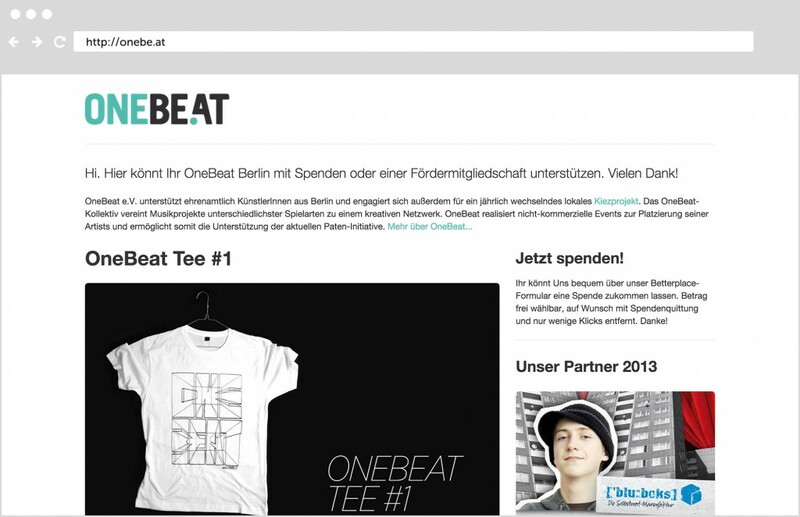 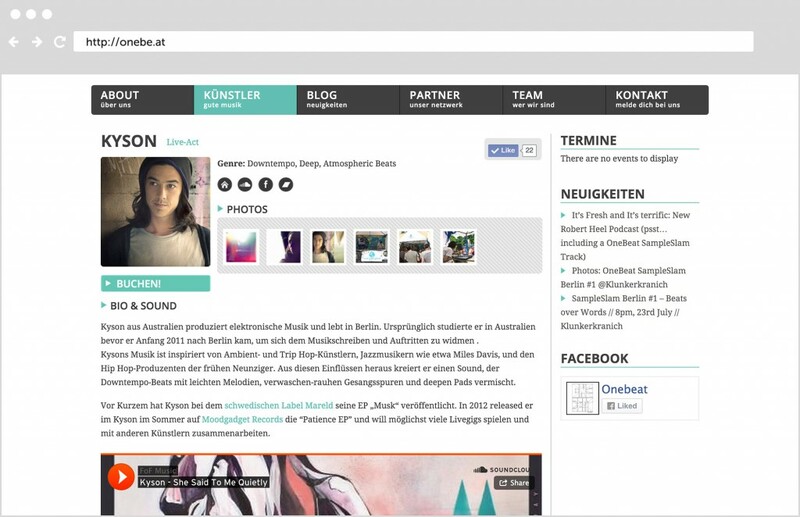 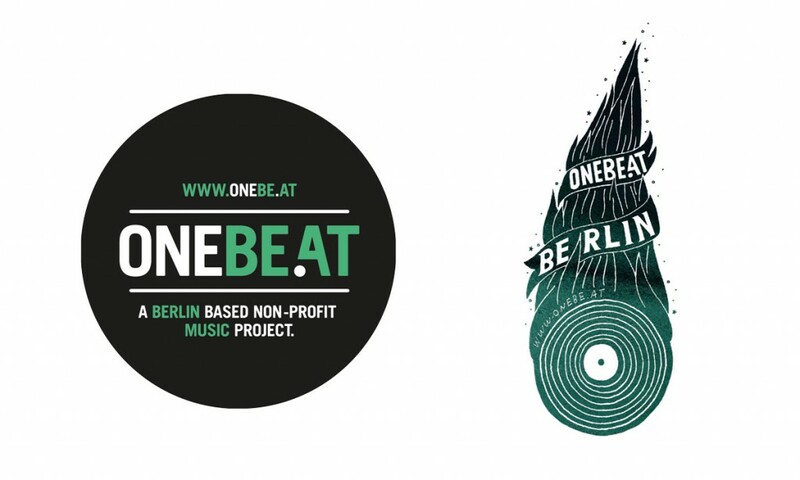 From 2009 to 2013 I managed the non-profit project OneBeat Berlin. 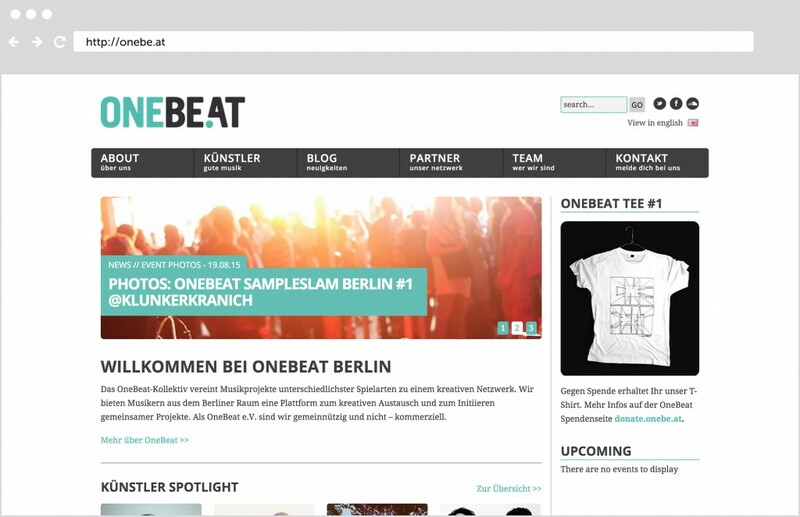 While developing a website, a newsletter, writing for the blog and providing art direction for various design projects (logo, flyer, poster, sticker, t-shirts, etc), we organised various events formats showcasing newcomer musicians. 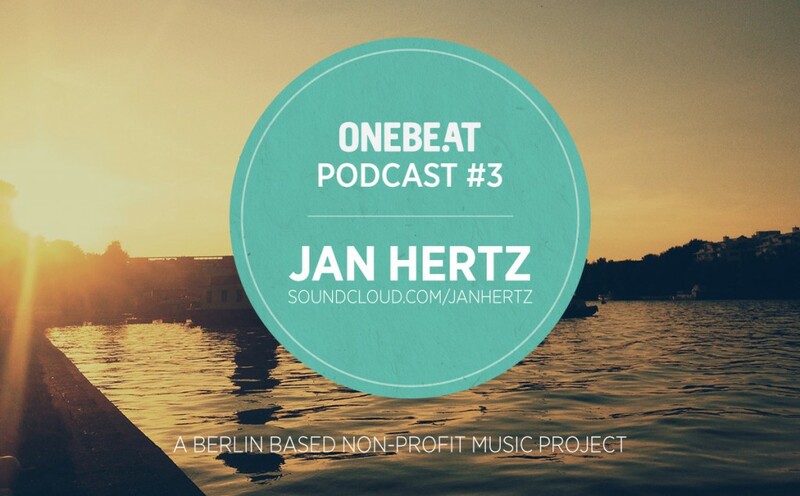 I also did an electronic music podcast series.